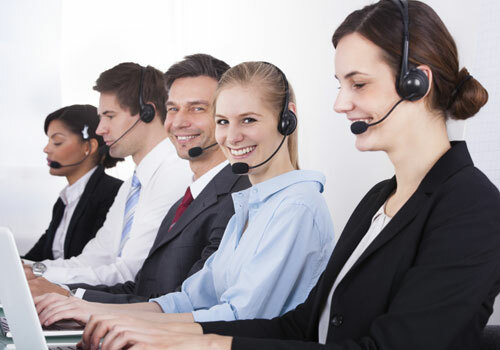 At LaBell Exchange, we take great pride in our ability to provide excellent customer service as part of our phone answering service. In fact, our industry's trade association--the Association of TeleServices International (ATSI)--has presented us with the exclusive Award of Excellence for scoring 80% or better on our courtesy, response time, accuracy, and overall service over a six-month assessment period. Moreover, our call center has been honored with this award for the last seven consecutive years. A family owned and operated business, LaBell Exchange has provided Southern California businesses with expert phone answering services since 1975. We place a high value on courtesy and professionalism, and are committed to treating each caller with sensitivity and respect. Our phone operators are highly experienced in working with accounts in the medical, dental, legal, municipal, property management, and service industries. Every account is specially personalized to meet the needs of each unique organization and may include message taking, voicemail tree, information screening, call prioritization, emergency dispatching, virtual receptionist, or schedule management services, in addition to general customer service and assistance. Additionally, we'll continually follow up and update your account as your answering service preferences and needs change. Call LaBell Exchange today. We service the entire Southern California area, including Los Angeles, San Diego, and Orange County. Our call center is open 24/7, and we provide bilingual operators and translation line services.